Lyft is looking to get a boost: The ride-hailing firm is seeking $1 billion in new funding. The new round of financing would value the company at $4.8 billion, according to research firm VC Experts. 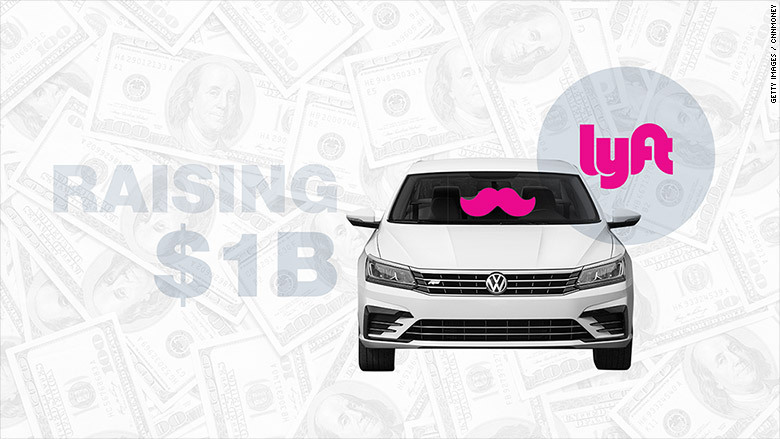 Lyft has raised roughly $1.1 billion in funding since it launched in 2012. The unicorn -- the term for privately-held companies said to be worth $1 billion or more -- was previously valued at $2.6 billion. Lyft authorized the new round of funding in a Delaware filing. According to Justin Byers, director of business intelligence at VC Experts, the company's private stock is now $26.79 per share. It was $19.44 per share in its previous funding round. Such shares are used as markers for a private company's value but aren't available to the public. This news comes weeks after the company announced it is partnering with three other ride-hailing companies from around the world. The global alliance, which will go into effect next year, will make it easier for customers to travel internationally. The four companies combined will cover nearly 50% of the world's population. The company is competing with Uber, which is no stranger to raising money from investors in billion dollar batches. Uber continues to hold onto its reign as the most valuable startup in the world. When Uber's latest financing round is completed, it could be valued as high as $70 billion. The news of Lyft's fundraising was reported earlier by Bloomberg. Lyft declined to comment.